What plants can make it through our super hot summer months? What new plantings won't require daily watering? What plants don't require monthly pruning or maintenance? SmartyPlants offers several of these hardy summer survivors that don't require tons of water and can become established in a few weeks. Clusia guttifera (or small-leaf Clusia) has become extremely popular because of its low input demands. It is also a replacement for Ficus benjamina hedges that were decimated by White Flies. For better long-term results, use this plant to create a hedge that has enough room to grow in all directions as it can get quite large. All three varieties of Schefflera arboricola are also in demand - and for good reason. The solid green 'Dwarf Schefflera' makes an excellent dense hedge. 'Gold Capella' is a cultivar in which the green leaves are marbled with golden yellow variegation. The third type is the more common 'Trinette'. 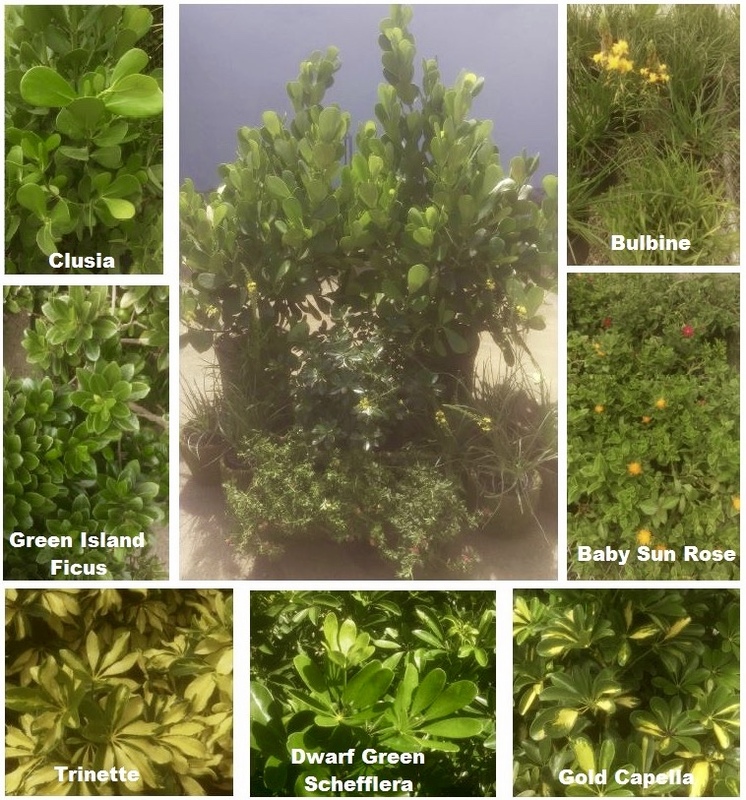 It is widely used in the South Florida landscapes as hedging, specimen bushes, or potted specimens. Its leaves are mottled with ivory colored variegation patches. This variety is also slightly smaller than the other two. Ficus 'Green Island' has also become a widely used shrub. It is nothing like its Ficus relatives that grow huge or search for water sources. It can be kept as a small border hedge; a mass bed planting; or a medium primary hedge, topiary, or container planting. Two excellent choices for small flowering plants are Bulbines and Aptenias. Bulbines are semi-succulent spiky plants that love sandy soil and don't mind high heat. There are two varieties - the giant yellow and the 'Hallmark Series' which have orange and yellow petals on the flower spikes. The Aptenias or Baby sun roses are excellent used as ground cover or hanging plants for containers. Baby sun roses have yellow or red flowers; they are also available with variegated leaves. Bulbines and Baby sun roses are both salt tolerant. 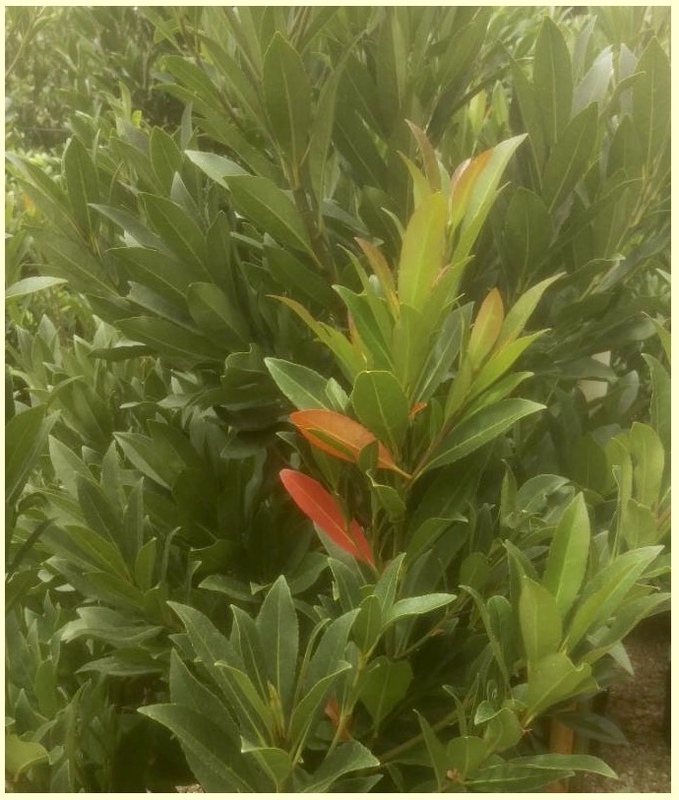 To continue our discussion of plants that are good summer survivors and good choices for hedges, next month we will feature plants that are native to South Florida that fit these criteria. Elaeocarpus decipiens or Japanese Blueberry is an underused plant because not many people have discovered it. This beautiful accent plant requires low maintenance, is a slow grower, and its narrow growth habit fits almost anywhere even 4 feet from a house foundation. Small white flowers can be observed in spring followed by dark blue inedible berries in fall and winter. The dense foliage is a lush deep green with the occasional bright-red leaf that signifies new growth. It can have a natural growth or be totally sculpted. It makes a great contrast with plants like Clusia or other bright-green foliage plants. Give this unusual and versatile plant a try as a specimen or focal point or with other plants as part of a screening hedge.